Pizza,Pasta,Pavvaka,Pakwaan, "PUTTU" are a few favourite foods of someone whose name itself starts with the letter ,"P" .Any clue who ???? . Time is up !!! Well,it's none other than my Pati Parmeshwar/husband ji ,Mr.Honey P. Mere Coincidence or his secret lucky charm kinda preference of letter "P"?? ...Not sure yet !! ...Well , probably not otherwise he would have married someone whose name started with "P" as well which luckily he didn't ....Good for him :P....Well,if he is gonna read this he would pull my leg saying ,"To err is human darling!!" and then I'll be like ...hmm....(Secret:This is a "warning" scenario if he reads this by chance and say anything like that..he will end up saying ," to forgive is divine too darling!! )...Watch out Honey P :P...well,I hope it won't be ulta..opposite for me....OMG..bachaooooooooooo.. I didn't say anything .Period. Let's come to the topic.Better !! So,Puttu is one of the most staple breakfast item of Kerala and my dearessst (buttering..shh) Honey P's all time favorite comfort food . Good for him and good for me as well because it is also one of the simplest,easiest,quickest and healthiest Kerala breakfast any one can make instantly .Easy ,homely ,healthy and tasty !! Puttu (if you don't know) are steamed food made up of rice flour/wheat flour/corn flour/raggi flour /other flours with layers of shredded/grated coconuts in a special cylindrical shaped cookware or bamboo or coconut shell shaped cookware exclusively and served with ripe bananas/kadla curry,Kerala Chickpea curry/fish curry/chicken curry /cherupayar thoran,green gram dish/any of your favorite curry as you like ,you name it or even simply with a cup of milk and sugar. 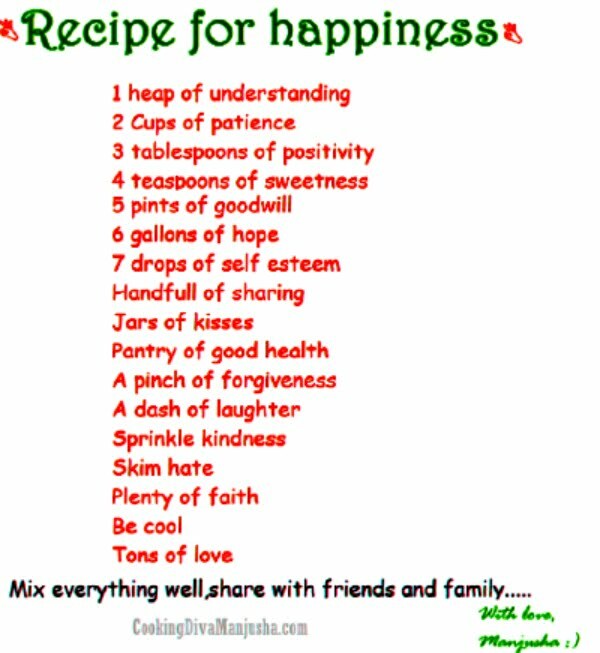 Take whole wheat flour in a big bowl and sprinkle salt water little by little and gently mix with hand until they get wet not that lumpy yet with a powdery texture . Take little shredded coconut and mix with the above ready to prepare flour. 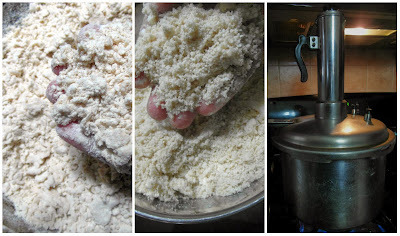 Pulse it in a mixer (one round) so that you get a soft lump free flour texture. 1.Before pulsing 2.After pulsing 3.It's cooking time!! Meanwhile, heat the pressure cooker with a cup and half /2 cups of water on high flame.Once water boils,turn the flame low. Take the puttu maker and put the small disc with tiny holes (which comes with the maker) into it . 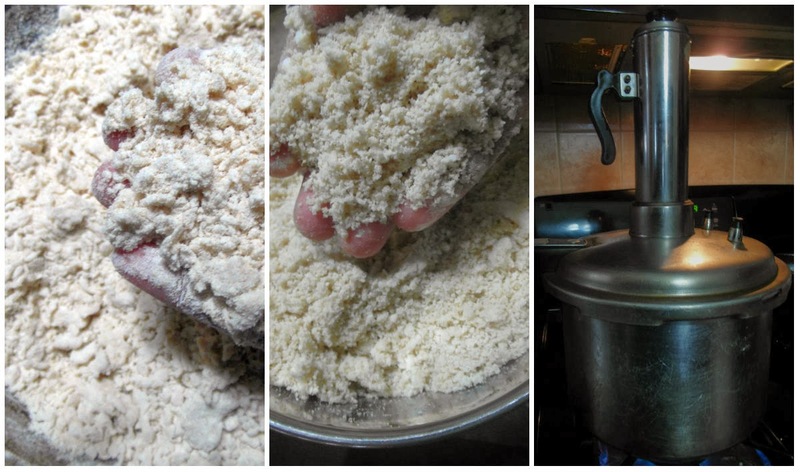 Put a layer of coconut followed by the prepared flour above (till half of the puttu maker) ,repeat this process until the puttu maker is filled. Now steam it for another 4-5 minutes on medium-low flame,until the flour inside is well cooked. Turn off the stove and remove the puttu maker and allow it to cool off for couple of minutes. My puttu maker has the stick with it which I use or use a ladle or a big spoon to push/transfer the puttu from its maker's back slowly slide it onto the plate. Serve it hot with ripe Bananas or any curries and if you are a chickpea fan like my hubby,with kerala special kadla /chickpea curry /Kabuli chana curry. The trick to make good puttu lies in it's appropriate wet coarse powdery texture .While using wheat flour be extra careful while sprinkling water as too much may make it into a dough and instead of puttu you''ll probably end up making roti/chappati/poori :P.So,sprinkle water little by little mixing in between like massaging powder by powder with your fingers .The right consistency is when you can create a small firm ball of flour on your fingers and when you crumble it should become powder. While making wheat puttu ,pulsing the flour is must if you want to have a soft ,smooth,lump free puttu. While filling the prepared flour into the maker,put it loosely not packed and pushed hard into it. There are varieties of puttu maker which is used on top of the pressure cooker to steam and then there are traditional puttu kudams which is exclusively used to steam puttu directly. More coconut you add,more tasty it'll be. Salt water = 1 cup warm water + 1 tablespoon salt.Make sure the salt is enough though before preparation. 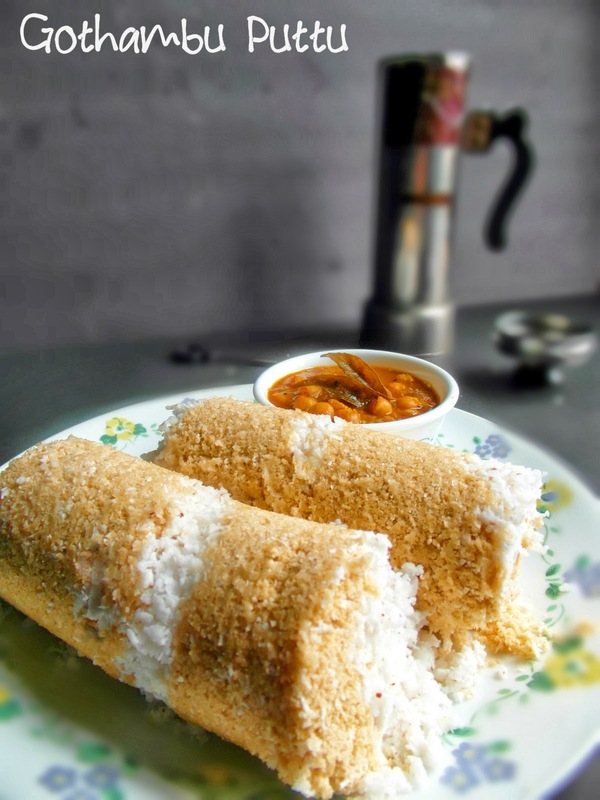 Puttu should be served and eaten hot .Otherwise do re-steam it to have it later fresh and hot.